In this volume from acclaimed writer Allan Heinberg (The OC) , the Amazon warrior Diana has gone missing, leaving Donna Troy to take up the mantle of Wonder Woman! When Diana returns, she goes under her former alias Diana Prince, acting as a secret agent and member of the Department of Metahuman Affairs. 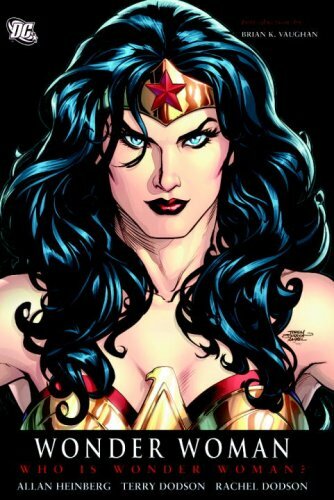 Her first assignment is to save Donna Troy but will she re-take the role of Wonder Woman? books for adults with specific teen appeal. He has also been nominated for 5 Eisner awards and 5 Harvey Awards. In 2010 Essex County was named as one of the five Essential Canadian Novels of the Decade. He currently lives and works in Toronto with his wife and son.